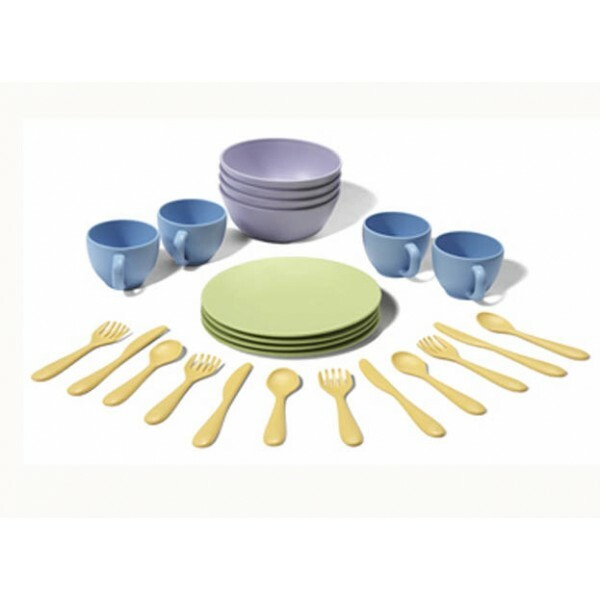 Green Toys' colorful 24-piece dish set comes with everything you need to serve a meal for four – four green plates, four purple bowls, four blue cups, and four yellow knife/fork/spoon sets. The safe, durable material and design make this set great for the playroom, classroom, or picnic table. It encourages pretend play and the development of both gross and fine motor skills as children stack bowls, use the cup handle, or maneuver a fork. 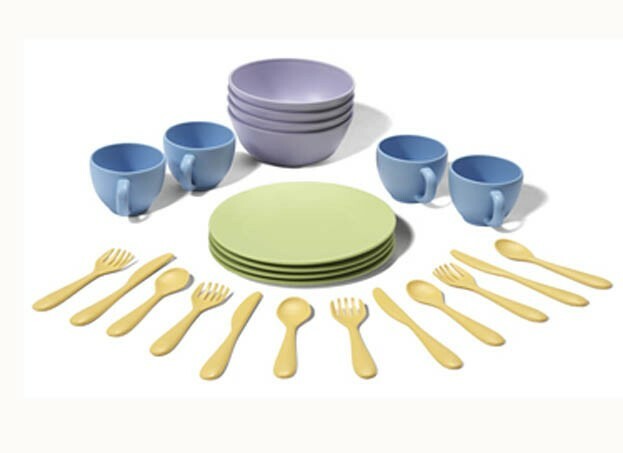 This set also provides the framework for learning important social skills and manners – setting a table, serving others first, saying “please” and “thank you”, and clearing the table at the end of a meal. All Green Toys products are made in the USA from 100% post-consumer recycled plastic. They are BPA-, lead-, and phthalate-free and food- and dishwasher-safe.